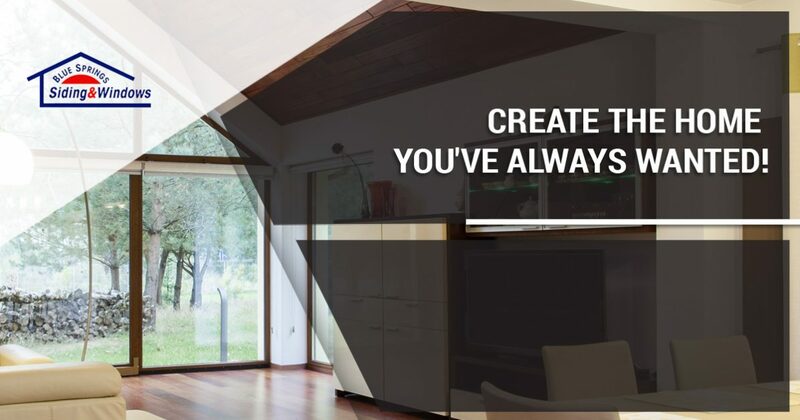 Window Installation Kansas City: Create the Home You've Always Wanted! If you’re like many homeowners in Kansas City and the surrounding areas, then you’re probably already planning to improve your home in 2019. 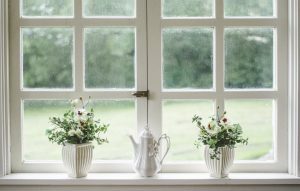 Perhaps you’re thinking about renovating the exterior with a siding installation, or maybe you’ve thought about adding a beautiful new picture window to your dining room. You may have even considered replacing your entry door with a new model that transforms the look of your home. If you’ve thought about any of these projects, then you’ve come to the right place! In today’s post, we’ll highlight three ways in which we can help you create the home you’ve always wanted. When you’ve finished reading, get in touch with a member of Blue Springs Siding and Windows by calling 816-629-6270 or by filling out our online contact form. Your home’s windows make a statement to anyone who passes by, and you want to ensure that it’s a statement you endorse! Many homes in the Kansas City area were built decades ago with outdated windows that compromise energy efficiency and reduce your home’s curb appeal. Moreover, many older windows become difficult to open and could be a serious risk during a fire. At Blue Springs Siding and Windows, we carry energy-efficient models from Soft-Lite that are as efficient and functional as they are beautiful. If you’re tired of paying high energy bills each month, or you’re simply looking to update rooms throughout your home, then come to our showroom and we’ll help you find the perfect replacement windows for your home. Much like your windows, your entry door is one of the first things people see when they arrive at your home. If your door is cracked and warped from years of exposure to the Kansas City weather, then you may want to consider a new, more energy efficient replacement. As you’ve come to expect from our other services, we provide our customers with exclusively top-of-the-line products. We carry entry doors from brands like Soft-Lite, Therma-Tru, and several other brands known around the country for their dedication to quality. If you’re looking for more than an entry door, then we can help with that, too! We provide sliding doors, French doors, and many other models that can help you breathe new life into your home. You can learn more about our different door installation options on this page, and you can also get in touch with a door installation expert through our website to request more information. As we noted in one of our previous blog posts, siding installation is one of the best investments you can make in your home. In addition to improving your home’s energy efficiency and keeping your interior protected from the elements, new siding will significantly boost your home’s curb appeal. You can update your vinyl siding with a new color that gives your home a completely rejuvenated look, or you can opt for something similar to your current siding if you don’t want to change the look of your home. No matter which home siding option you choose, we know that you’ll be impressed with the results. Call Blue Springs Siding and Windows Today! We hope that today’s post will inspire you to invest in your home as 2019 draws nearer. With the holiday season just around the corner, we know that paying for a large home improvement project with cash isn’t always a viable option. As Kansas City’s go-to window and siding company, we’ve made it as easy as possible to create the home of your dreams at a price you can afford. We offer flexible financing options that can make your next project more affordable! Visit our financing page to learn more, and fill out the form below to get started with a free, no-obligation estimate for your home!